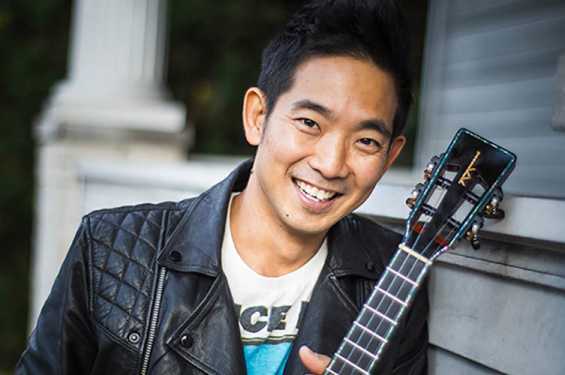 Jake Shimabukuro is an American ukulele virtuoso and composer known for his fast and complex finger work. His first brush with the ukulele took place in Honolulu, Hawai’i, when his mother sat him down at age four and taught him to strum. Shimabukuro hasn’t stopped since. With a career stretching over 30 years, his music combines elements of jazz, blues, funk, rock, bluegrass, classical, folk, and flamenco. 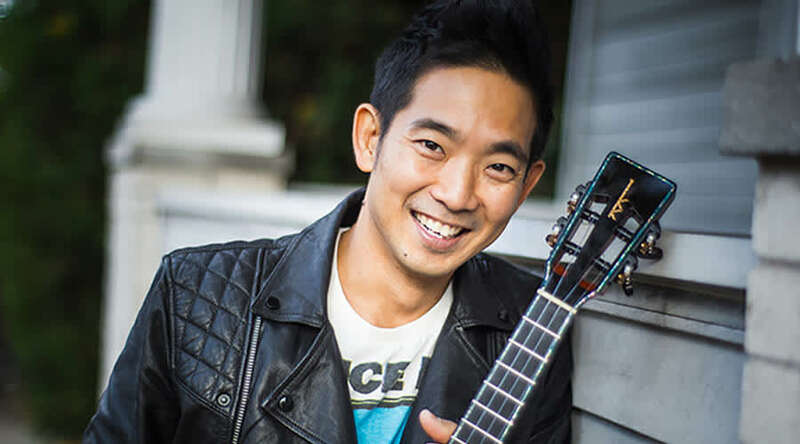 Shimabukuro became internationally famous in 2006 when a video of him playing a virtuosic rendition of “While My Guitar Gently Weeps” was posted on YouTube without his knowledge and became one of the first viral videos on that site. By adopting a guitar hero anthem for the ukulele (Eric Clapton had played lead guitar on the Beatles’ original recording) Shimabukuro made a significant statement: The ukulele, with its humble four strings and modest two-octave range, is an instrument limited only by the imagination and creativity of the person playing it. Widespread acclaim brought high-visibility collaborations with a wide range of artists including Yo-Yo Ma, Bette Midler, Cyndi Lauper, Bela Fleck and the Flecktones, Tommy Emmanuel, and more.